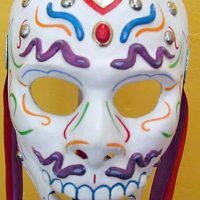 We have a new site dedicated to the Phoenix Día de los Muertos festival! 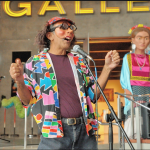 Be sure to check out our page on Día de los Muertos Activities, Workshops and Lectures. 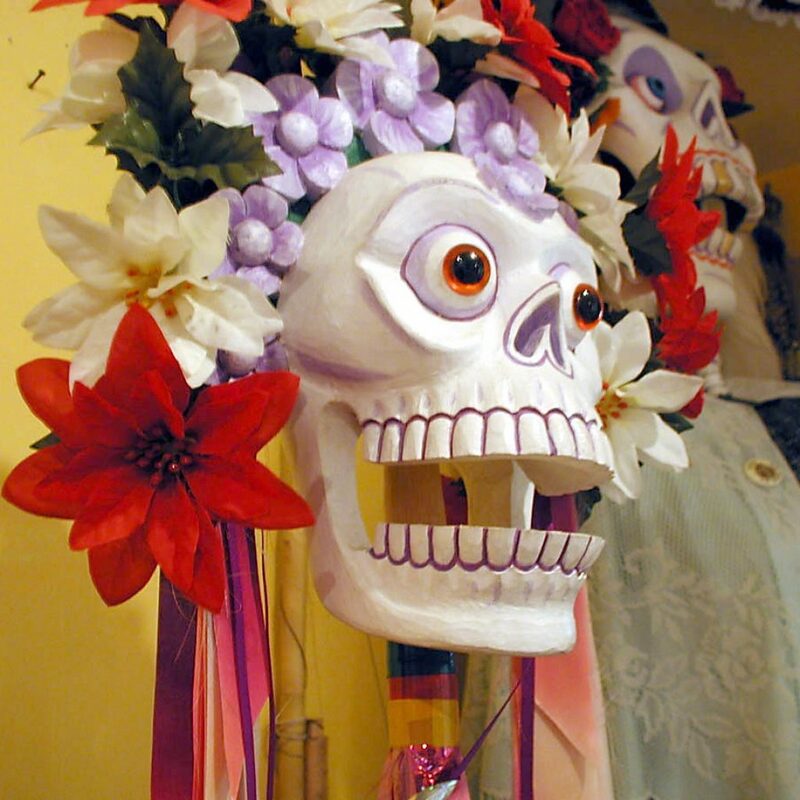 Día de Los Muertos is a highly celebrated and significant holiday held throughout Mexico, Latin America and the Southwest. It is a day when homage is paid with prayers, offerings of food and the building of altars to those who have gone before us. 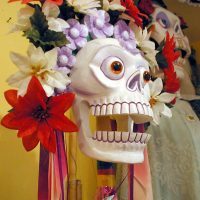 Each region has its unique style of celebration. 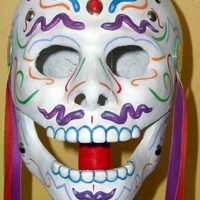 In Arizona the Annual Día de Los Muertos, a Celebration of Life, is the day when La Mascarada (The Dance of the Nagual Masks) is held. 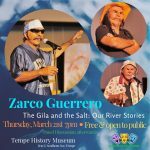 The traditional date is November 2nd, and the festival takes place on the first Sunday of November at Pioneer Park, in Mesa. 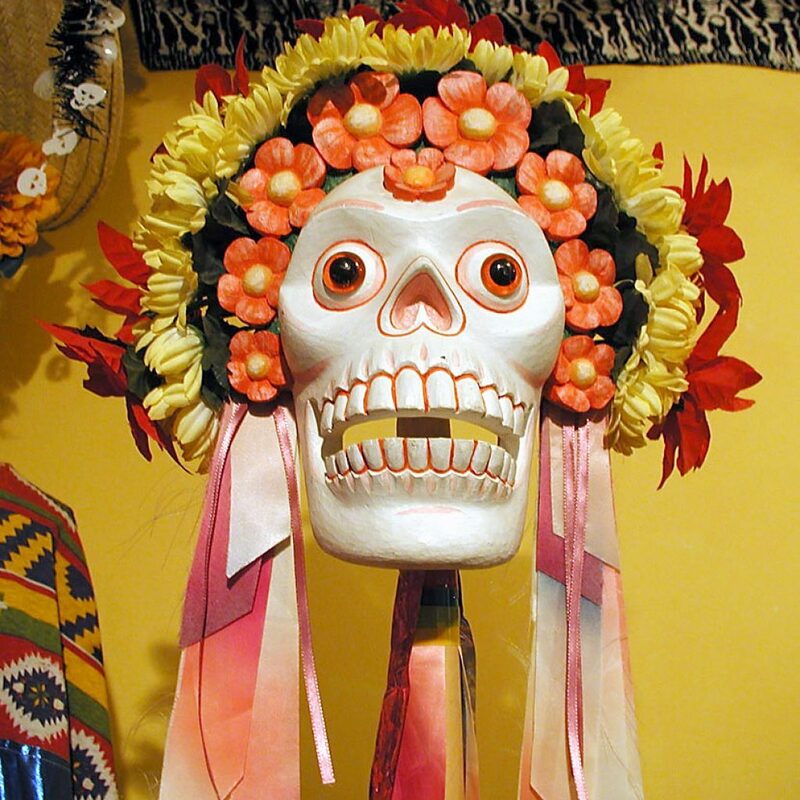 Death is believed to be an integral part of life and a means of passing into the afterlife. 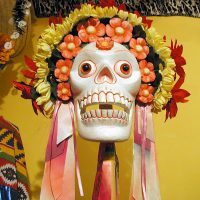 The idea of death is to be accepted without fear and often has a comical connotation. Since pre-Columbian times, the skull has been a symbol of transition. 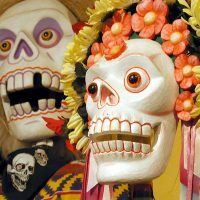 The Calacas Encantadas (enchanted skulls) act as clowns during this festival which allows the audience a chance to participate in the energetic dance which mocks death while exhibiting a passionate exuberance for life. The Día de Los Muertos Festival and the ritual Mascarada are not merely entertainment but are instead a true example of living public art, a vital ingredient of social structure and cultural expression. 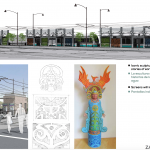 The festival itself is a direct manifestation of traditions and customs which provides an opportunity to develop a positive image of our indigenous past while paying homage to our ancestors. 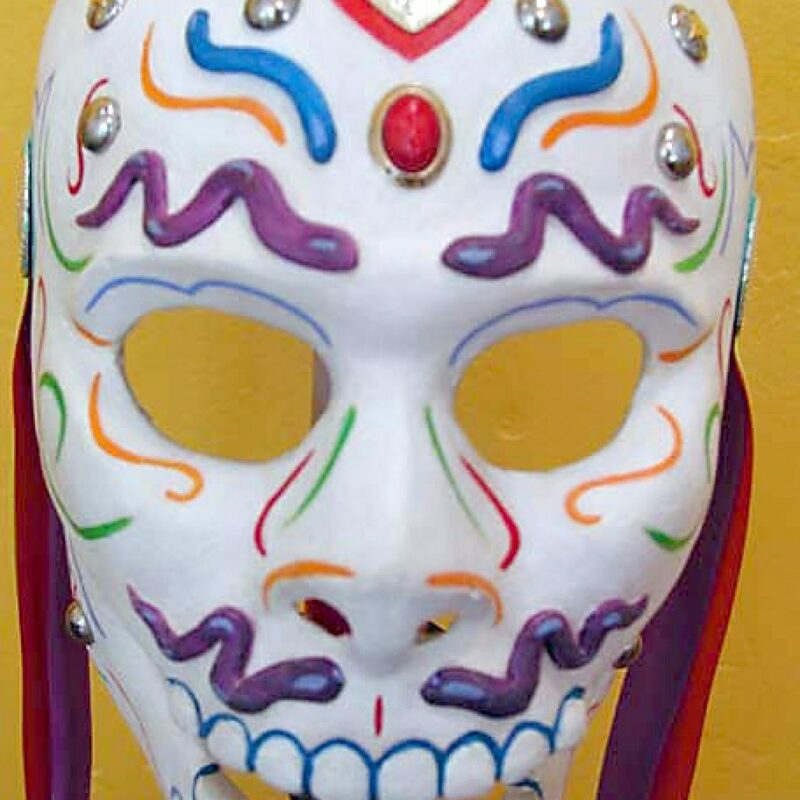 La Mascarada formally symbolizes the past revitalized by a community of artists, dancers and musicians who value heritage and the continuity of tradition. 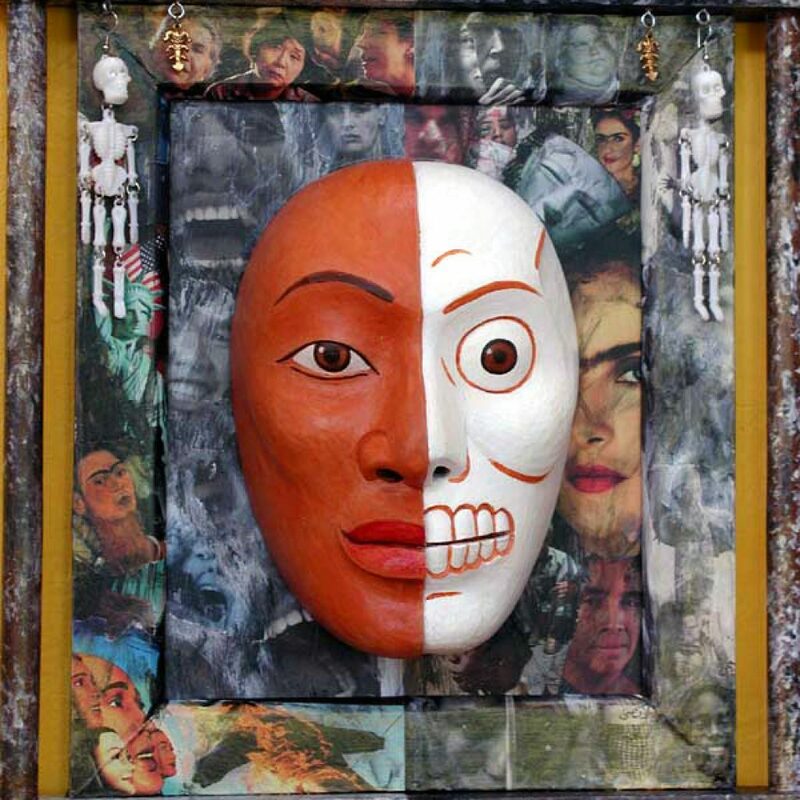 Where as the masks of old were used to control the forces of nature to insure rain, fertility and good crops, so the Nagual Masks serve to identify ourselves with the rest of the earth’s creatures. Artistically the masks serve as tools to cultivate a contemporary culture of ecological consciousness. They’re mirrors of ourselves deeply rooted in a common past and destined to share a common future. 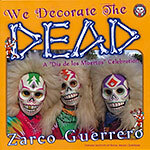 Check out our book, We Decorate the Dead!